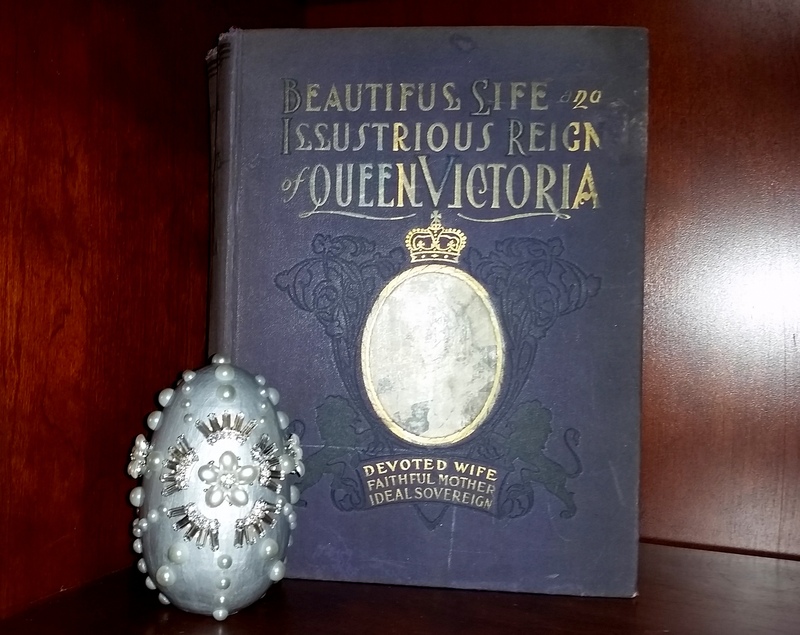 The previous Fabergé-inspired Egg craft post featured a lovely golden eagle pendant with a large blue gem which seemed to copy the style of the Russian Imperial crest. 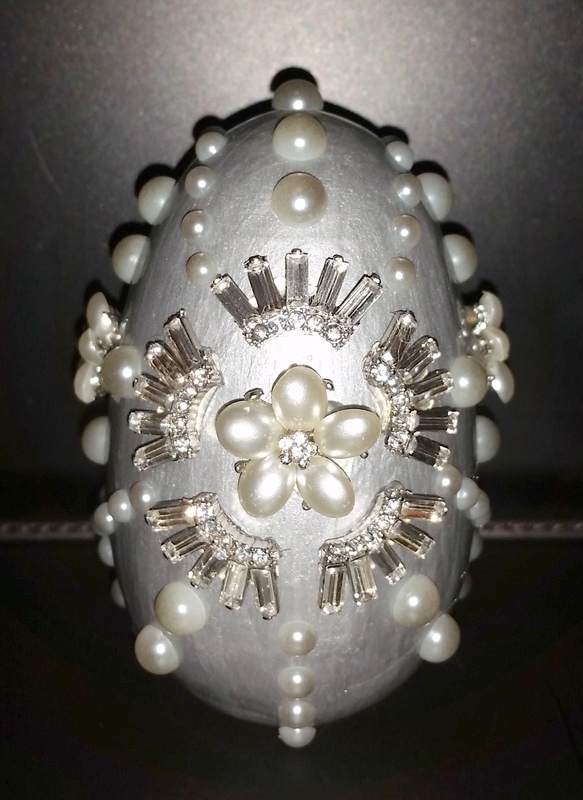 Then, recently when in the jewelry/accessory store Charming Charlie looking through the clearance section, I found two inexpensive necklaces, a bracelet and earrings that I decided would be perfect for two more Fabergé-inspired egg craft projects. 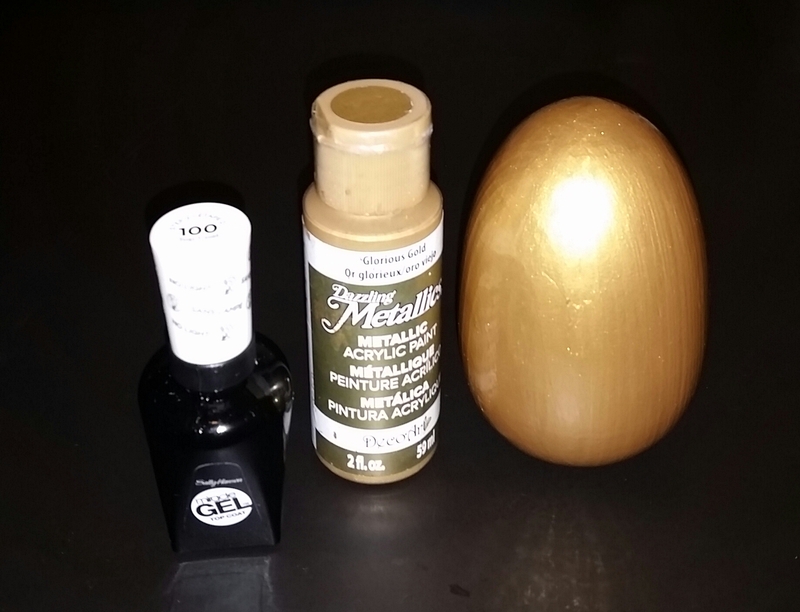 Use sandpaper to smooth any rough surfaces to prepare the wooden egg for painting. Prepare the necklace and bracelet by clipping the links to create separate pieces, use sandpaper to smooth any rough or sharp edges. Hot glue the individual pieces to the painted egg, work out the placement before gluing by marking with a small dot to indicate the position. 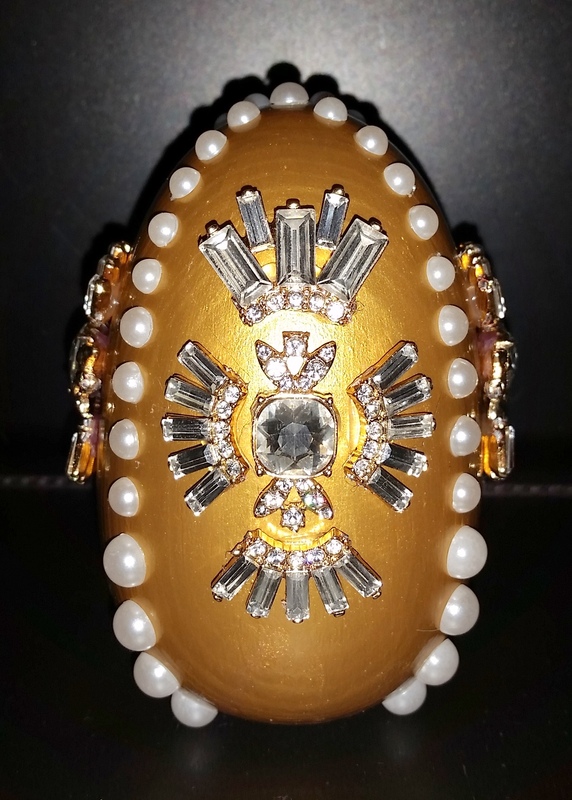 In my Décor post, Faberge Eggs, this month I told the story of these beautiful eggs and their connection with the Russian Romanov family. 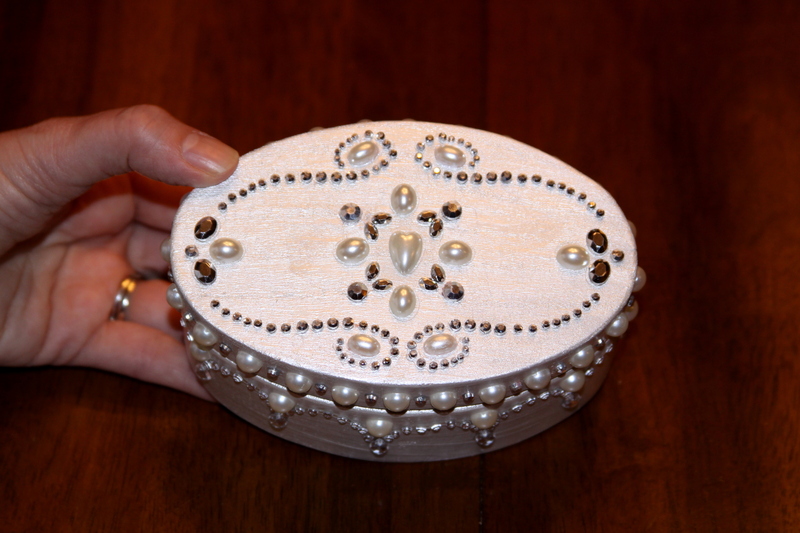 Inspired by those Faberge eggs, I decided to recreate a simpler but still elegant oval “egg-shaped” wooden box that is painted and decorated with crystal and pearl stickers. 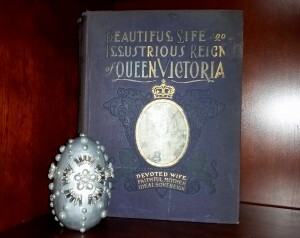 This box will be displayed in our family room bookshelf during the Easter season. 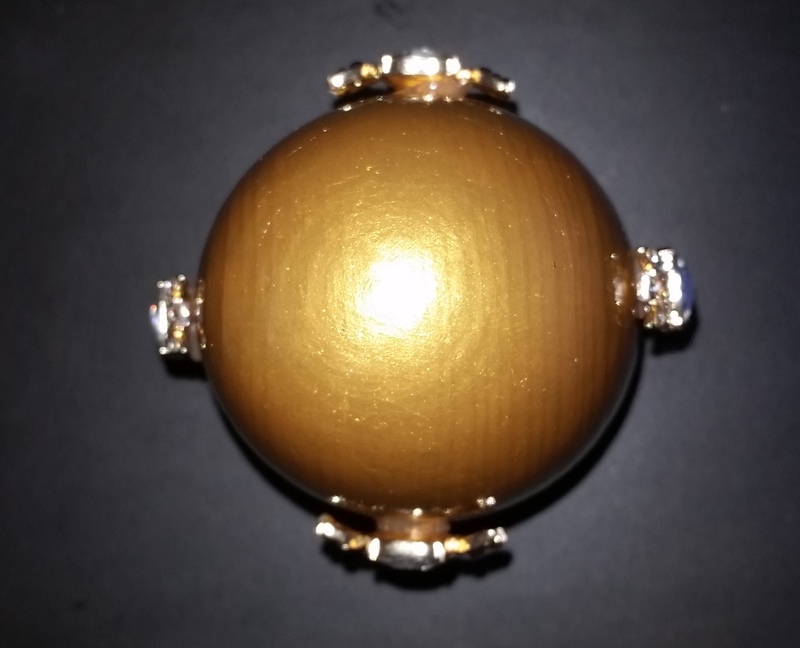 Pre-determine the pearl and crystal sticker placement prior to painting. 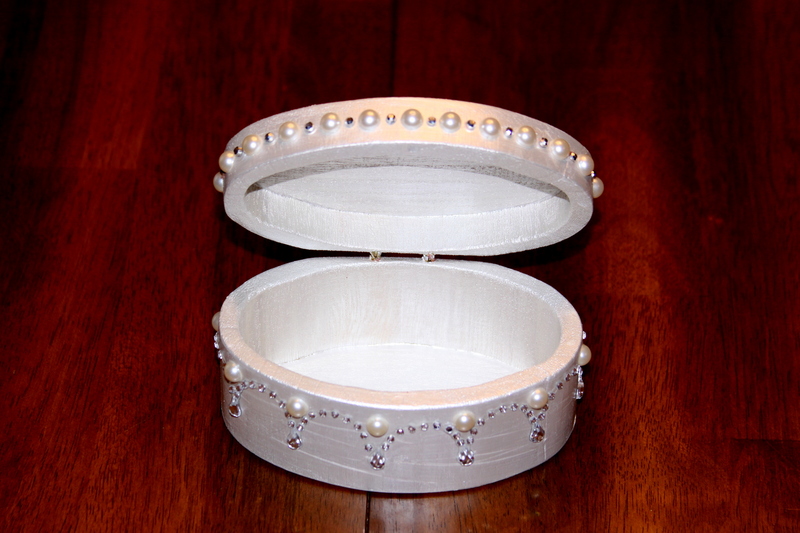 Prepare the wooden oval-shaped box for painting, use sandpaper on all the surfaces, including both exterior and the interior of the box, to create a smooth surface. Paint the wooden box; let the paint on the different areas completely dry. 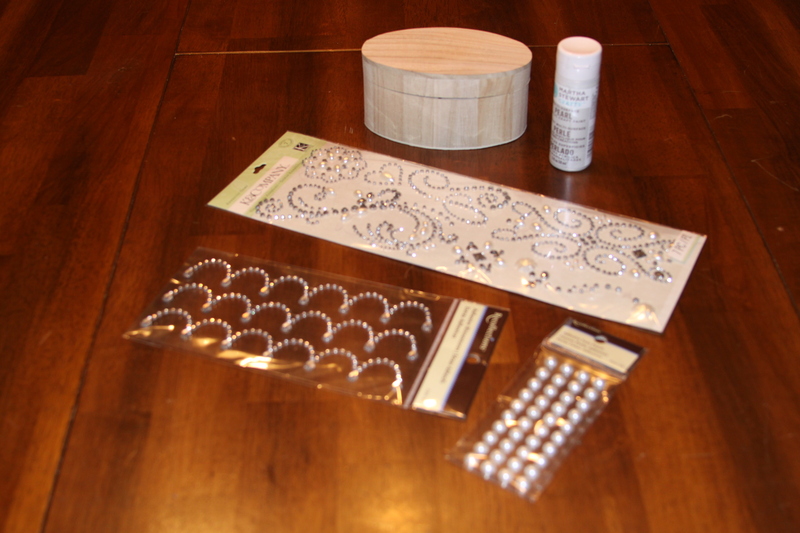 Attach the pearl and crystal stickers in the different pattern combinations that were pre-determined ahead of time. 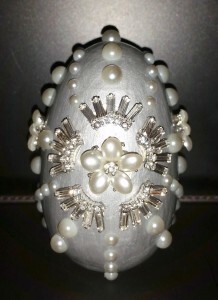 If any pearl or crystals come loose, use a glue stick to re-attach. 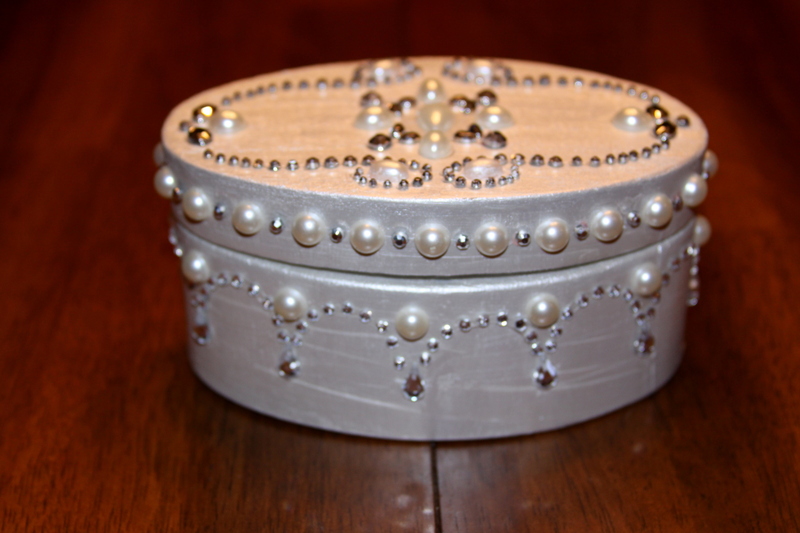 Craft Tip: For the wooden box that I created, I used a simple color palette of Martha Stewart pearl paint in white with pearl and “diamond” crystals for an almost monochromatic look. Experiment with a color palette; using one, two or even three different colors, until you find the right combination that you like.